Even so, it's a huge boost over the 720p setup of the original game (itself marked down on the vertical axis by these borders), which suffered for a use of MLAA post-processing that failed to tackle every rough edge. The change to a post-process technique that resembles FXAA does a far better job on PS4, and though we still have borders to the top and bottom, the active part of the screen still give us the sharpness of a full 1080p image; less shimmer on high contrast textures, and reduced pixel crawl. It's only a missed opportunity however that we have no option to switch to a traditional 16:9 presentation to fill standard HDTV screens. 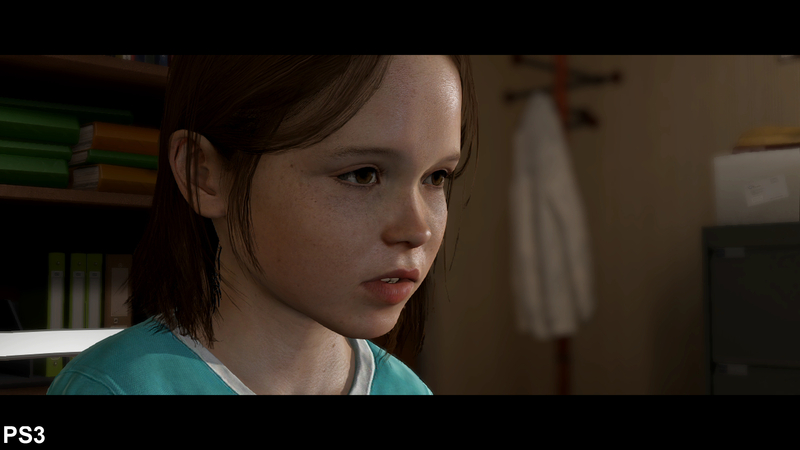 A full dissection of Beyond: Two Souls on PlayStation 4. The generational leap removes the many visual blemishes of the PS3 effort. One of the standout points of the original release was its cutting-edge facial capture, something that translates convincingly to PS4. Character geometry and skin shaders are largely the same as PS3's, and likewise for the animations used on the original release. It's all preserved on PS4, but the real game-changer is in the way each character is now lit, and the engine opts for a more natural, blended look to lighting as shadows factor in from more light sources. The net effect on PS4 is we often get cleaner, brighter lighting across characters - though in some occasional shots we notice a duller return. Shadows get a much-needed boost in quality on PS4 too. Higher quality filtering is used on shadow edges to remove the PS3's pixelated look, a percentage closer filtering implementation that looked rough up close. It's one of the original game's major setbacks visually, but on PS4 shadows blend in naturally with the environment. To a great extent this upgrades all shadows projected by characters near walls, while at range, shadow quality is identical between the two. As for textures, we're getting the same assets reused in most areas, but some spots get some extra attention on PS4. The embassy mission shows this off best; everything from the carpets to wallpaper are upgraded with a higher resolution maps. Sharper, superior quality versions of the same asset are applied, giving this room a noticeable boost as we walk the floor. 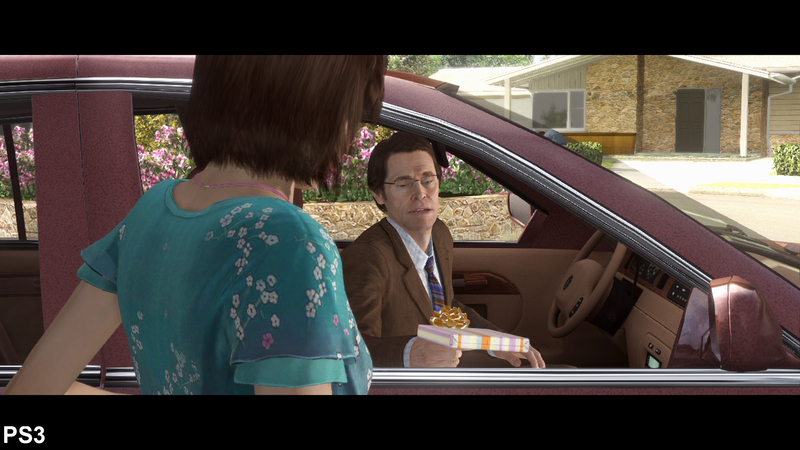 New objects are also added to certain scenes on PS4, like trees and bushes during the Party chapter, but for the most part, Beyond Two Souls on PS4 uses the same template as PS3, with a few extra touches. Post-process effects are also added on PS4. The most striking upgrade comes from an accomplished motion blur implementation, plus a depth of field filter. This time we get a per-object and camera-based technique that takes multiple samples from anything in motion. While a higher quality implementation than PS3's overall, the effect is more aggressive, and the impact it has on image sharpness in motion may divide opinion. On that point, a chromatic aberration filter is also brought into the fold on PS4, a filter that discolours geometric lines in the foreground and towards screen edges. Thankfully, this only seems to kick in during certain cut-scenes, while gameplay is largely unaffected. 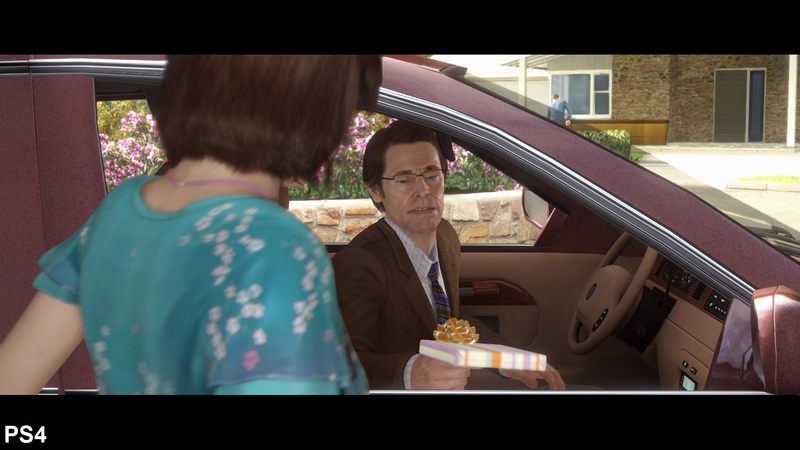 Beyond: Two Souls gets a lift to 1920x817 on PlayStation 4 - native 1080p framed by a 2.35:1 aspect ratio. New assets are included in scenes like this too; note the new carpet to the bottom-right. Character modeling remains top-notch, and as with the PS3 original we're getting physically-based lighting on skin shaders and environments. Certain alpha effects are updated as well. 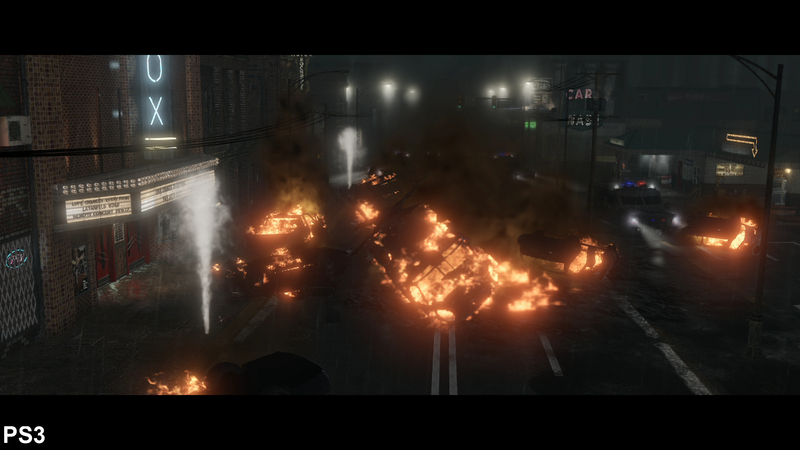 This scene unfolds in several ways, but PS4 shows higher grade water sprays from the hydrant (left), and also a larger plume of smoke in the distance (centre). 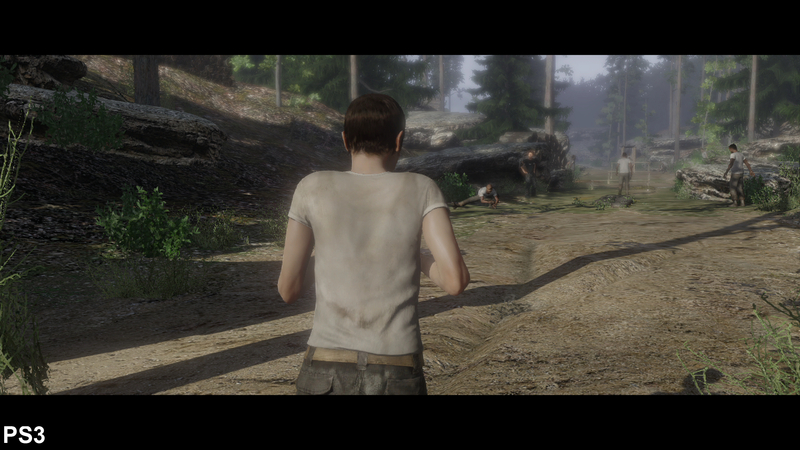 One of the PS3 version's major rough spots, up-close shadows are increased in resolution on PS4, with superior edge filtering. PS4's jump to 1080p means less pixel crawl on high contrast edges, such as the chrome highlights to Willem Defoe's car. New objects are placed around the scene, in this case adding trees and foliage to the background. This time around, some texture maps are swapped for higher resolution assets on PS4. The design can change radically between the two versions, as seen on the carpets and wallpaper in the embassy area. Motion blur is enhanced with a per-object implementation. 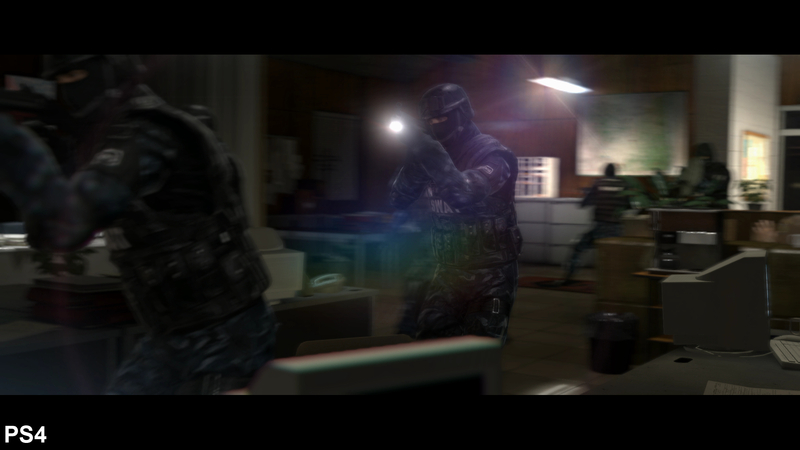 We also see PS4 bringing a chromatic aberration filter - discolouring edges in certain scenes. Fortunately this only appears at select moments. There are several other improvements to note, like a boost in specular mapping across wet concrete or varnished hospital floors. This is pushed along by a broadening of texture filtering range too, meaning there's no binary cut-off point across the floor, where clarity of normal maps switches over. 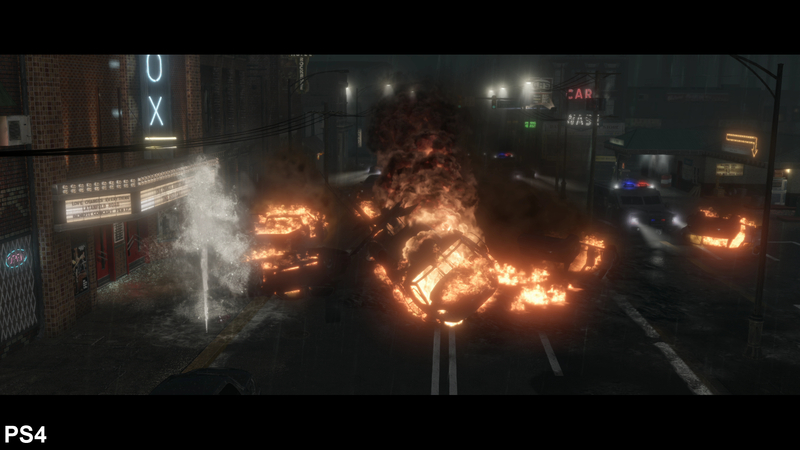 Added to that, alpha effects in the Hunted mission's finale also get a notable resolution boost - and in particular we see water sprays from the fire hydrant render at a much higher quality. Even down to these smaller details, Quantic Dream pushes this remaster's graphics forward wherever it can. 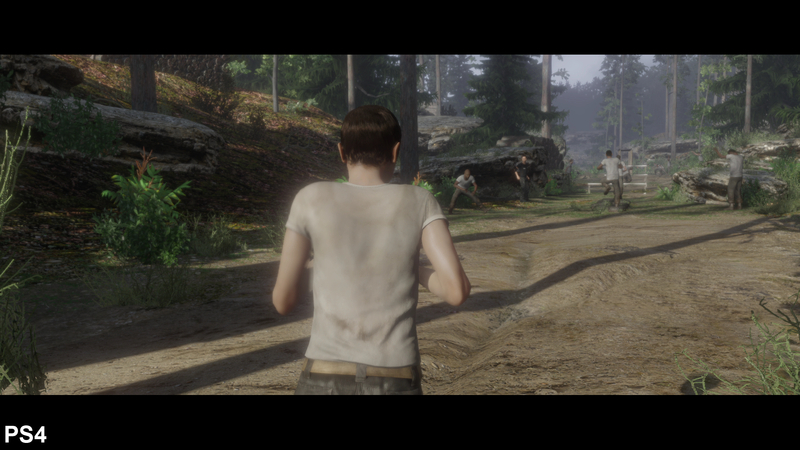 Through all these visual tweaks, PS4's frame-rate is thankfully much improved too. On release two years ago, it was hard to ignore some of the PS3's bigger lurches downward, especially while taking control of Aiden in spirit form. Once again this remaster targets 30fps with v-sync engaged, but crucially, Sony's newer machine gets a far stronger lock on this number. For example, the Hunted chapter showed PS3 dropping to 25fps and lower during one motorbike chase - but a matching PS4 test shows barely a single drop below its target. The jump between platforms makes for a tangible difference in this sense, and there's an apparent comfort in the PS4's delivery of the game in almost every chapter. Even in less strenuous areas, the game stuttered and hitched on PS3 as new assets streamed in on-the-fly from its HDD. But in the remaster, these hiccups are to a large extent circumvented by PS4's pool of faster GDDR5 RAM, and as a result we've only seen one occasional pause during play so far. For a game with such high cinematic standards, these hitches distracted, but the good news is they're almost entirely removed on PS4. A frame-rate analysis shows PS4 bringing out the best in the game, jumping from a wavering 20-30fps on PS3 to a mostly locked 30fps. 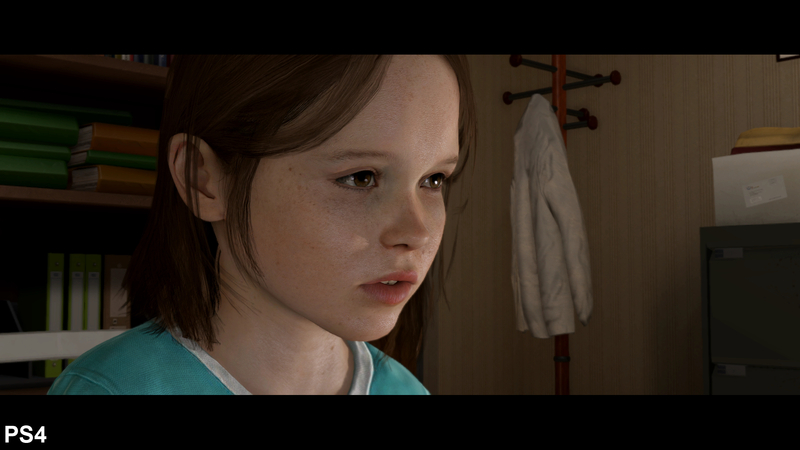 In many ways Beyond: Two Souls is a perfect fit for PlayStation 4's capabilities. 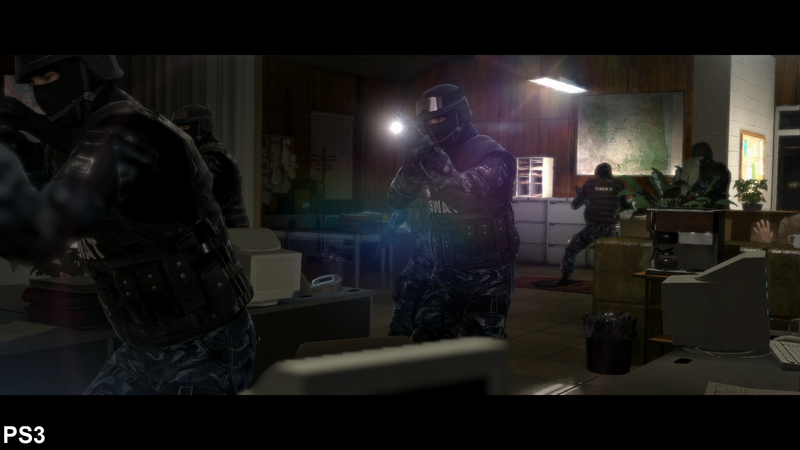 It's a remaster that polishes up very well on the new machine, with a far smoother frame-rate. There's no shortage of last-gen games being re-released in a 'definitive' guise this generation - and it might be getting a bit much for those keen to see brand new content. But Quantic Dream's effort here is clearly a justifiable case; a game that was intended to run on this machine from the start, and until now has been held back by the older PS3 standard. The game's cutting edge use of physically-based lighting isn't dulled in the shift between generations. More than anything it's surprising how much it looks like a PS4 title when firing on all cylinders, with face and body motion capture-work that still hold up handsomely to other current-gen titles. The one, lasting drawback is the game's rigid, angular set designs; simplistic geometry that can't hide its PS3 origins in certain cases. It's a compromise that still creeps in from that last-gen design, but in every other respect Beyond Two Souls shines here. Backed by extras like a remixed story mode, plus the bundled 'Experiments' expansion, it's easy to stamp this PS4 release as definitive. If you've been curious to try David Cage's latest work until now, these refinements make it worth a look-in. In technical terms, Sony's newer machine settles at a comfortable 30fps with updated visuals, but a broader question can be asked of how Quantic Dreams might push the console even further. A demo was flaunted at E3 2013 to show just that - an engine targeted for PS4 that we hope once again raises the bar, as it did so radically between its last two projects.